Home / SkinCare / Sensica sensiLift™ - Professional Skin Tightening At Home. 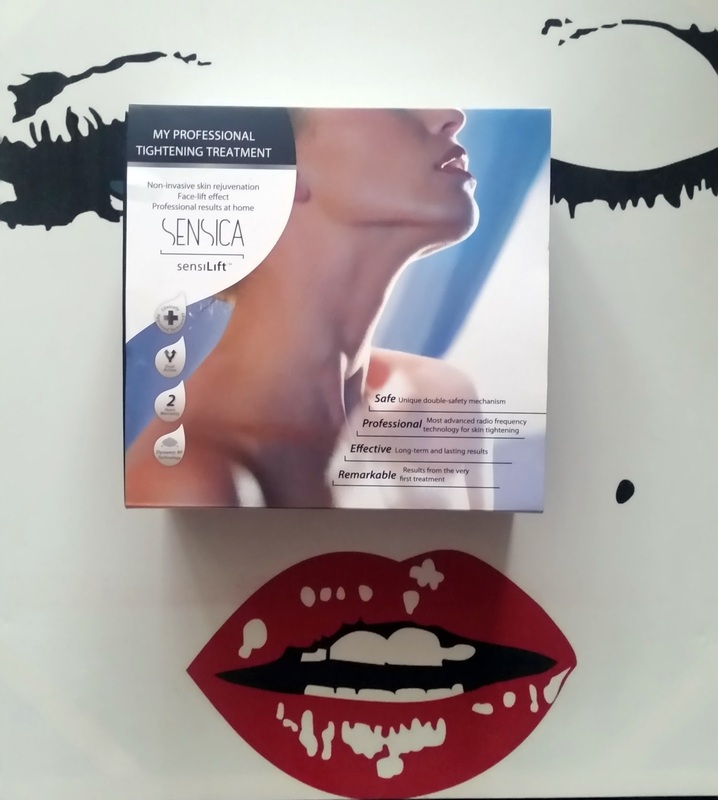 Sensica sensiLift™ - Professional Skin Tightening At Home. Sensica have your skin's best interests at heart in providing revolutionary technology products, for you to use at home. Sensica offer Anti-Aging, Hair-Removal or Body Care treatments that offer a solution to a problem you may be facing. Sensica's leading engineers and professional aesthetic experts have adapted their technologies, previously developed for use in clinics, for you to use in the comfort of your own home. Sensica was founded by leading experts in medical esthetics's who have provided their technologies to clinics across the globe. Sensica believe women and men should be able to enjoy the same results that are achieved in clinics but without the high cost and inconvenience you may suffer when doing so. Sensica have taken the technologies they have created for the world's foremost medical esthetic clinics and transformed them into affordable, hand-held beauty treatments that have proven results. Sensica proprietary technologies -RPL™(Reactive Pulsed Light), Adapt2U™, Dynamic RF™, PH Feedback™ are the same ones used by professional institutions, only adapted to be used for at-home hair removal, skin rejuvenation and exfoliation. All of Sensica beauty treatments and skincare products are clinically approved and provide a range of breakthrough treatments for both face and body. Each of the Sensica products was developed with the individuals specific needs in mind and ergonomically designed to be as intuitive to your body as it is simple to use, all while providing you with powerful, long-lasting results. Non-invasive skin rejuvenation. Face-lift effect. SAFE - Unique double-safety mechanism. PROFESSIONAL - Most advanced radio frequency technology for skin tightening. EFFECTIVE - Long-term and lasting results. REMARKABLE - Results from the very first treatment. Massage fingers and electrodes - two massage fingers (treatment fingers) combined with RF electrodes in order to simultaneously apply the RF and massage treatments. Safety temperature sensors are also embedded in the treatment fingers. *SensiLift™ Base: Especially designed to work with sensiLift™. 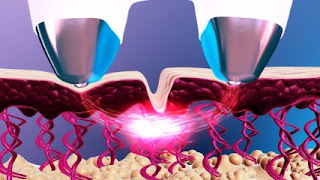 SensiLift™ Base ensures proper delivery of Dynamic RF™ energy and best possible results, by improving contact between the device and skin and as a result improving skin conductivity. WARNING: Using sensiLift™ without applying the base first is strictly prohibited as it will compromise your safety and treatment efficacy. Sensica revolutionises the traditional approach to non-invasive and painless anti-aging with a proprietary dynamic RF™ technology, a combination of clinically proven RF (Radio Frequency) technology with facial massage. SensiLift™ is the only device with dual action, that treats multiple layers of skin simultaneously, allowing you to enjoy more equal and effective treatment. Unique sensors constantly measure your skin condition and adjust the temperature, for more personalised and safe treatment. Forehead: Place the treatment fingers on the area whilst always moving sensiLift™ up and down working across the forehead. Treatment time is recommended for 10 minutes. Around Eyes: Place the treatment fingers on the area whilst moving sensiLift™ in slow "side to side" circular motions. Recommended treatment time for the area is 10 minutes (for each side). Cheek And Nasolabial Smile Folds: Place the treatment fingers on the area whilst moving the sensiLift™ in slow circular motions across the cheek area up and down over the smile folds. Recommended treatment time is for 10 minutes (for each side). 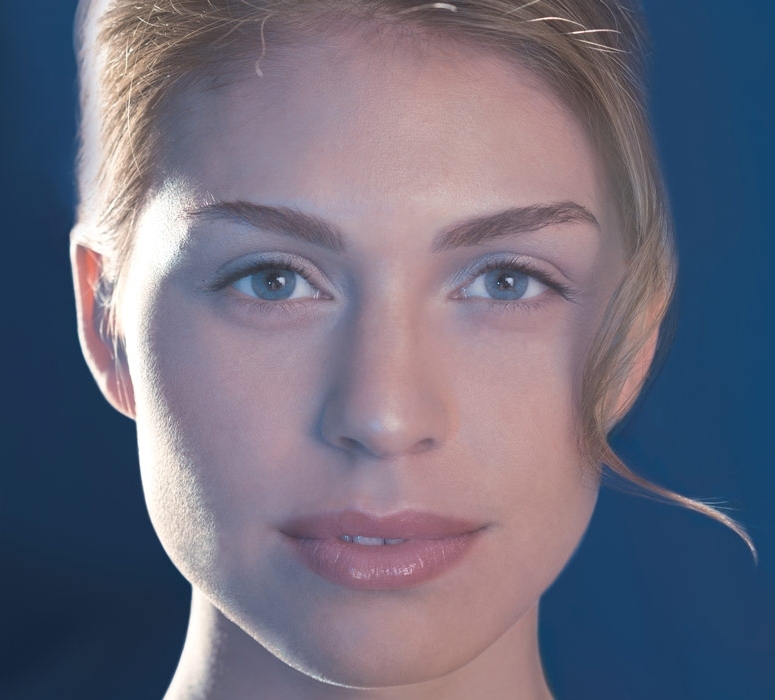 Chin: Place the treatment fingers on the area whilst moving the sensiLift™ from one side to the other. Recommended treatment time is 10 minutes. Neck: Place the treatment fingers on the area whilst moving the sensiLift™ up and down across the neck. The recommended time is for 10 minutes. Decolletage And Hands: Place the treatment fingers on the desired area for treatment whilst moving the sensiLift™ in slow circular motions across the hands or decolletage. It is noted that because these areas are large, for best results it is recommended to divide the area to sub-areas of approximately 4cm². Recommended time for each sub-area is 10 minutes. Using And Experiencing The sensiLift™. I always read any user guide before using any device so you can get the best treatment possible with the best results, knowledge is power. The user guide is really good in detailing the device and is an easy-to-follow guide to help you use the sensiLift™ safely and accurately, if you do have any concerns sensica will answer any questions you might have and are happy to help you. Removing the components from the box i made sure the treatment fingers of the sensiLift™ were clean, dry and intact. Plugging the cord end into the sensiLift™ whilst then proceeding to plug the power plug into a power outlet, the sensiLift™ was ready. Performing a preliminary test before doing a full treatment is intended to determine your skin reaction to the sensiLift™. This will help you find the best settings for each treatment area you are wanting to treat, 48 hours prior to a full treatment. Your skin has to be clean and dry whilst making sure it is free from any topical products such as moisturisers and liquids, whilst male users have to make sure their clean shaven, before then proceeding to apply a thin even layer of sensiLift™ Base on the treated area. Starting the test at RF energy level 1 and massage level 1 you can then increase the levels according to your comfort level. The treatment creates a warm sensation but if you feel any adverse effects stop using immediately. Waiting 48 hours to examine the test area and if there is no sign of any side effects you can then proceed with a full treatment in the highest comfortable energy level and massage level you tested. It is normal to experience sensations of warmth during the session of treatment session - created by the RF energy during treatment. When using the sensiLift™, i felt a comfortable warmth on my skin whilst the massage feature felt relaxing, adding to the wonderful experience of my professional tightening treatment. I did not feel any negative effects whilst completing the treatment and i checked my skin 48 hours after the test and did not notice any negative side effects when checking my skin. Aftercare After Finishing Your Treatment. After completing the treatment you can then proceed to wipe off the sensiLift™ Base. It is best to avoid any hot water on your face and discontinue use of any abrasive or harsh products that may upset your skin for two days. Applying a high-factor sunscreen with at least 30 SPF whilst also protecting the treatment area from direct sunlight is best recommended for two weeks after your treatment. You must clean the sensiLift™ with a damp cloth to remove any residue that might of been left from the sensiLift™ Base, in helping the electrodes area and temperature sensors work efficiently for your next treatment. The next recommended treatment suggests using sensiLift™ once a week on each area for the period of 8 weeks. After you have completed your 8 week stage of treatments, you can then proceed to the second stage which is "Maintenance". Maintenance treatments should be performed 4-6 weeks apart, as needed. I am really excited in completing the full course treatment as i find using the sensiLift™ really easy to use whilst also being able to complete the treatments at home. The sensiLift™ can fit into your daily routine easily and can lift your skincare regime to the next level whilst also being cost effective, than if you had treatments of the same nature at a clinic. Experience professional beauty treatments in your own home by visiting Sensica who offer break-through treatments for the face and body. X Neil.